Naturally, everyone wants to rank well in the search engine results pages. I talk to people everyday that have either attempted SEO themselves or contracted an individual or firm to perform the SEO for them. I hear all the time how SEO hasn’t worked, for various reasons. 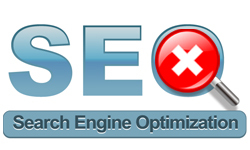 Keyword and phrase selection in order to properly SEO your web site is a difficult and lengthy process. 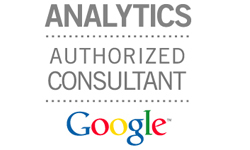 It involves research and niche targeting to thoroughly investigate the industry or topic your web site is all about. The most common approach by many is to compile a list of highly popular key phrases. This is not always the best approach. The key phrases that are the most popular are quite often difficult to rank for, as you are competing with many more web pages for the coveted top spots. In addition, even if you are fortunate to rank for your chosen key phrases, they may not be your best converting. In other words, your statistics may show a lot of visitors, but not many of them that are actually contacting you or purchasing your product or service. If you can’t recall the last time you sent your web developer some new content for your web site, or at the bottom of your pages, it still reads “Last Updated July 2005”, then this one is for you. Search engines are big business nowadays. What is Google worth again? The big 3, that is; Google, Bing and Yahoo! are fiercely competing for you! Search engines need visitors and market share. Now how do you suppose they try to accomplish this? Well, two ways that they compete with each other is by providing a) relevant results and b) recent, fresh results. Since search engines render results based strictly upon website content it makes sense then that they want content from sites that are fresh with new content! Let’s look at the fresh kind of results. 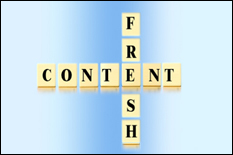 Search engines crave fresh content because it helps to keep their results relevant. It’s extremely important that we give the search engines the new content they desire so they can index it and include it in their results pages. Updating your website on a regular basis shows both the search engines and your website visitors that your company is active and worth their trust. Content writing is not for everyone, that is for certain, however, the seo benefits alone may be worth it to hire a content writer for seo. Exactly C-note, the very basis of working SEO is the right keywords & nascent content. 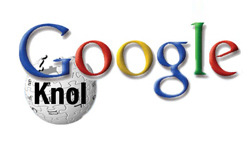 Google loves fresh contents and gives more weight to regular content updating. Thus, well-knitted and engaging content is essential to address the needs of the visitors as well as to meet the requirements of search engine bots. It is better to include blog within the site so that we can regularly post fresh content.